When the Trump administration pledged recently to crack down on all of the Deep State leaking to the media, those responsible for it should have taken the threat seriously. Now, it seems, the first of what may become a deluge of arrests concerning the unauthorized release of classified information to the press has been made. As reported by the Washington Examiner, federal contractor Reality Leigh Winner has been arrested on federal charges of allegedly leaking a top-secret NSA document to The Intercept, an investigative media outlet, last month. President Donald J. Trump and Attorney General Jeff Sessions have been focusing more resources on finding leakers, promising to prosecute anyone caught illegally turning over classified information to the media and others. On Monday, Trump.news reported that the Justice Department had begun monitoring reporters in an attempt to find out who was receiving leaked classified material. And last month The National Sentinel reported that at least three officials inside the Trump White House had been identified as also having allegedly leaked sensitive material and were in the process of being fired. But Winner, of Augusta, Ga., represents the first insider who has actually been arrested for illegal leaks, it appears. She faces charges that “she removed classified material from a government facility and mailed it to a news outlet,” the Washington Examiner reported, added she was arrested over the weekend and appeared in federal court to face charges Monday. The administration’s announcement came within hours after The Intercept published details of the intelligence, which claimed that Russian intelligence attempted to hack more than 100 local election officials prior to the November election. The report noted that Russian hackers sent emails to local elections officials while also attempting to cyber attack at least one U.S. voting software supplier. Winner was employed by Pluribus International Corporation and had been assigned to work at a government facility in Georgia. She has had a Top Secret security clearance since she was hired in February 2013. 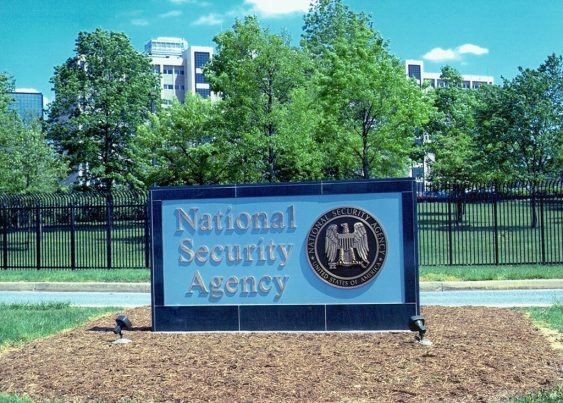 The NSA was not aware that the document had been leaked until a news outlet — presumably The Intercept — contacted government officials to ask them to comment on specifics contained in the report they believed were classified. After being sent a copy of the document and reviewing it, the federal government began its investigation. Under questioning, according to court records, she admitted she knew the information was classified and that she identified it and printed it off though she did not have a “need to know” clearance.